PT2605. Fast lens for Kiev (Contax) camera, released by ARSENAL in 1978-1985. 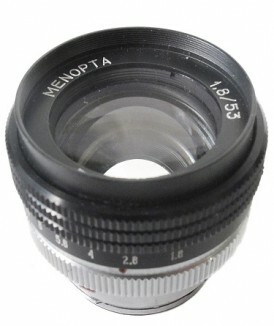 Focal length - 5 cm (5.2 cm), aperture range f1.8 - f22. Focusing range from 1 m to infinity. Number of elements/groups - 6/3. Angular field - 44º. Kiev (Contax) mount. 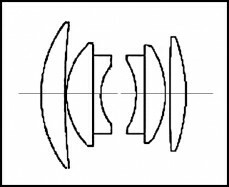 An earliest so far known lens has s/n #7800006 (Y.Davydenko coll.). 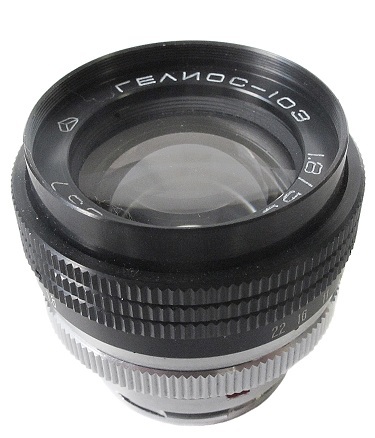 Lens opposite from Ilya Stolyar (USA) collection. PT2607. Very uncommon to find version with export markings on body. 6-digts serial number, instead of regular 7-digits one. No otherwise different from PT2605. PT2610. Almost identical to PT2605 with slightly changed body design (see comparison picture below). Released by Arsenal since 1982. 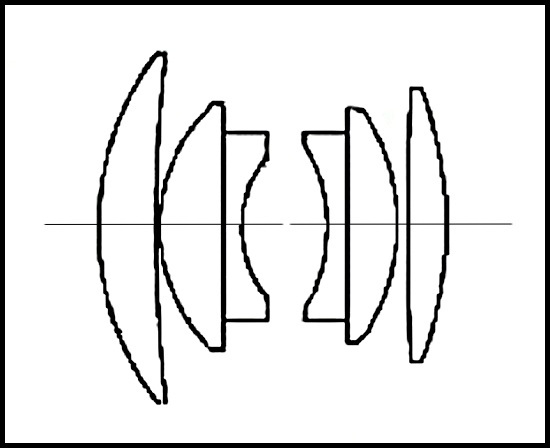 Lens opposite from Ilya Stolyar (USA) collection. PB2612. 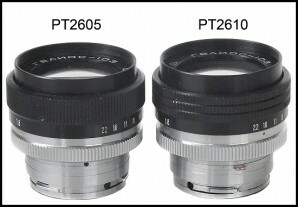 Lens identical to PT2610, but with export markings again. Regular 7-digits serial number. Less common to find in comparison with PT2610. PT2615. 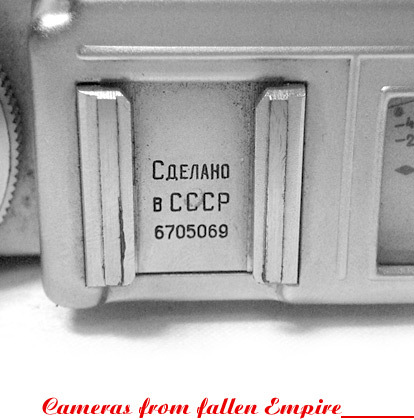 In the 1993 and 1994 years, when Kiev rangefinder cameras were no more produced, Arsenal Factory of Ukraine prepared a special series of “Helios 103” with “Menopta” name intended to substitute original "Jupiter 8" lenses on overhauled Kiev rangefinders. Lenses were also sold separatedly (source: Luiz Paracampo). 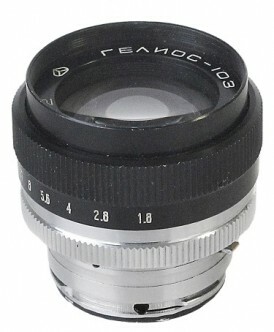 Lens #930312 opposite from Ilya Stolyar (USA) collection.